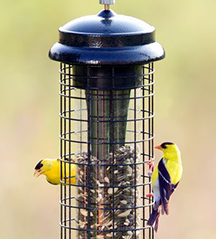 You'll never need to throw away our feeders! A piece breaks, you lose a part, or a squirrel damages something on your feeder? Nothing to worry about. All our products come with a Brome Lifetime Care. Just give us a call, and we’ll send you a replacement part. 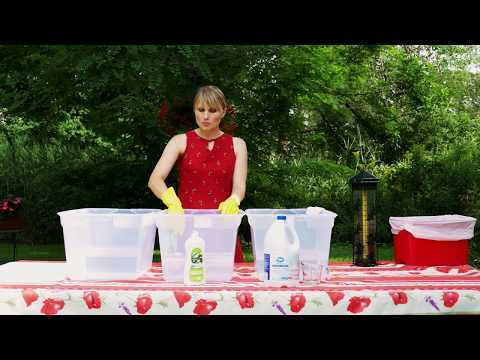 HOW IS IT SQUIRREL PROOF? Hi Lynne, thanks for your review. Unfortunately, there will always be mess when you buy seeds in shells. 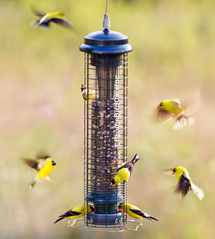 You can try filling your feeder with shelled sunflower seeds to avoid all the mess. Hi Tom, we are sorry to hear that you are not enjoying your feeder. Could you please call us on 1-800-856-5685? 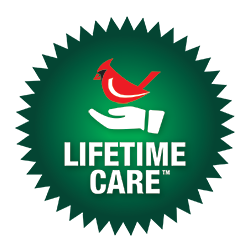 It's Lifetime Care on all our products - we'll happily send you a screw for free and explain how your feeder works. Hi Laird, thank you for leaving your review! Please give us a call on 1-800-856-5685 - we want to make sure that you are observing the required 18-inch clearance on all sides! 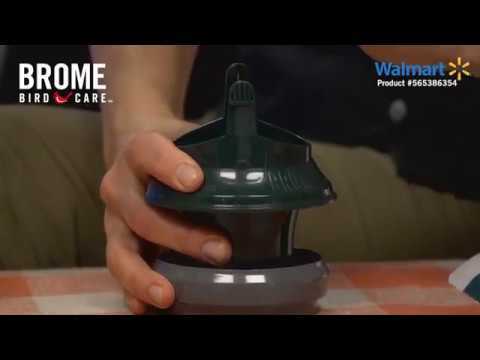 Hi John, Thank-you for taking the time to review our newest product! 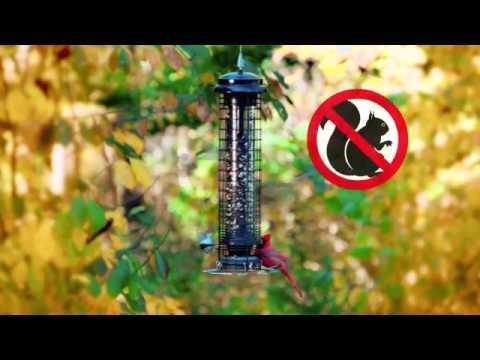 We're happy to hear that your birds are enjoying the Squirrel Solution 150. Happy birding!! You can locate this bird feeder anywhere and be squirrel free. Position it to get great close-up views of your favorite birds. Hang your feeder over a window, in a tree, on a deck, a fence, in your garden, on the side of your house, from a rain trough or over sliding doors. Use brackets, extension hooks and tree hooks to hang your feeder at the recommended clearance. Hooks and brackets are available at birding stores, garden centers and hardware supply stores. Your feeder prevents squirrels from eating expensive seed, scaring the birds and damaging your feeder. Enjoy being free of squirrel problems, but please remember, squirrels also need to eat. For the price of a few peanuts, or inexpensive cracked corn, squirrels will be happy to entertain. Remember it’s the squirrel’s weight that triggers the closing mechanism. If a squirrel can reach over from a nearby foothold and avoid placing weight on the feeder, he will have access to the seed ports. Allow for at least 18 inches or 47 cm of clearance around the feeder. This will force the squirrel to climb onto the feeder, thus triggering the closing mechanism. I have the Squirrel Buster Plus and the Standard feeders. I recently broke a piece of the Plus Feeder and was so impressed by the excellent customer service and quick shipment of the replacement part. A wonderful product and my birds appreciate these terrific feeders that also keep the squirrels out! I've owned my feeders for 4 years now...they are amazing, birds love that the squirrels are on the ground enjoying seeds, not harassing them on the feeder. I am looking forward to the suet feeder in 2019.